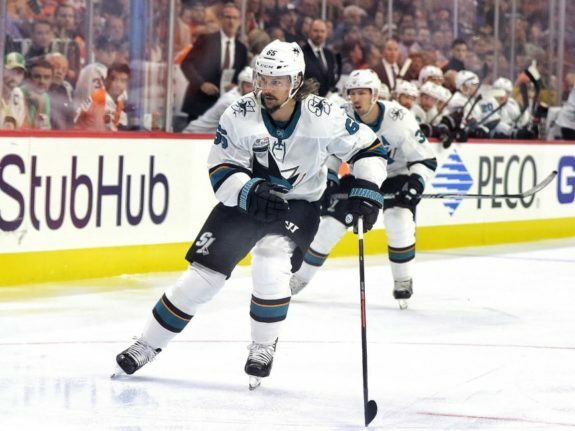 As November came to a close, one thing seemed clear for San Jose Sharks defenseman Erik Karlsson. He wasn’t going to be in the hunt for any major award. He was adjusting to his new team, which required both learning a new system and a mindset change. The slow pace at which he was adjusting was a bit unnerving. December changed all that and more. Some believe his emotional return to Ottawa on Dec. 1 marked the turning point. Even the Sharks coaches felt getting past that specific game made a major difference. Since then, Karlsson has played perhaps the best hockey of his elite career. And not coincidentally, the Sharks have been on a roll. The major uptick in Karlsson’s game and the major uptick in the Sharks’ record coincide. Is it too much to suggest Karlsson is carrying the team? Actually, it is. But since he began tilting the ice in the Sharks’ favor, everything else about the team, save for the inconsistent netminding, has fallen into place. The Sharks have gone from a playoff team holding onto a fringe spot to one of the league’s elite. They look like a genuine Stanley Cup contender. Nothing cemented that more than the Sharks’ 5-2 win over the Tampa Bay Lightning, a team that entered the Jan. 6 game on a 15-0-1 streak. The team has transformed and Karlsson is the primary reason. Karlsson is doing this with a partner, Brenden Dillon, who’s been a modest NHL player over his career. This season, Dillon is plus-18. He started the season on the third pairing with Justin Braun. 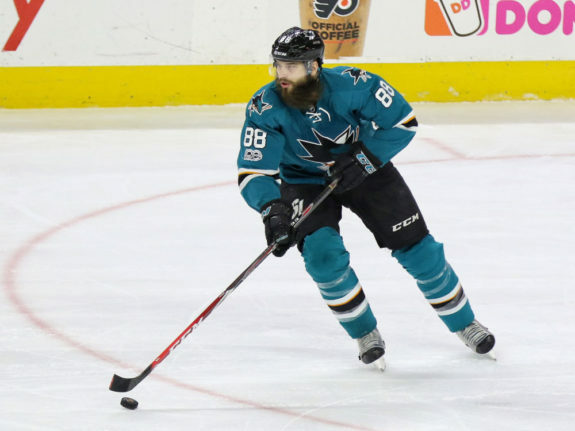 While the pair was respectable, Sharks head coach Peter DeBoer decided to switch Braun back to playing with longtime partner Marc-Edouard Vlasic and moved Dillon alongside Karlsson (a move I favored entering the preseason). In the 18 games following the Senators game, Dillon is plus-17. 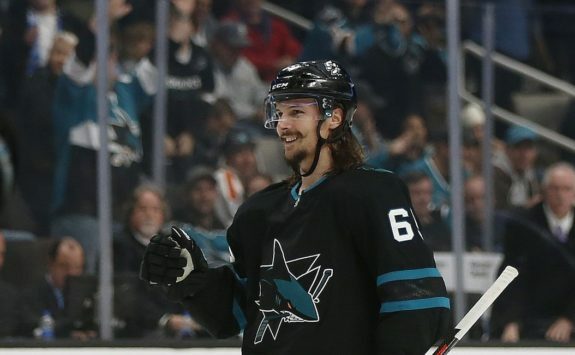 Karlsson’s play has given the Sharks confidence they hadn’t had all season. They were vulnerable for the first two months, giving up too many easy goals and not getting enough scoring of their own. The team was pressing when it needed to relax. These days, the defense has tightened up and the odd man rushes against (often a result of being too aggressive) have dropped considerably. Better defense has led to more offense. The team knows the goals will come. They’ve stopped making high-risk plays when smarter ones yield better results. There is a calmness to the Sharks, a team confident they will win if they simply play their game. Here’s a nondescript play from the first shift in the Sharks’ victory over the Edmonton Oilers. It captures Karlsson’s newfound game. He had the puck on his stick in the defensive zone and looked up ice for a long outlet pass, but it wasn’t there. He moved slowly forward, not pressing the play. The Oilers defense didn’t press him, so he edged forward more. Karlsson showed no urgency in trying to make a play that wasn’t there. He stayed relaxed until he found the pass he wanted to make and made it. While the play ultimately went nowhere, Karlsson was at ease. He waited and found the percentage play. Earlier in the season, he’d have likely attempted a higher risk play. Karlsson is not solely responsible for the Sharks’ positive turn, but he is the catalyst. The Sharks are a team that struggles when individual players try to do too much. During this run with Karlsson guiding the team, the team is playing smarter, choosing to be aggressive when the situation calls for it, not trying to force things when the risks are too great. The mojo has rubbed off on the ultimate high-risk high-reward player, Brent Burns. When Burns picks his spots wisely, he is a force like no other. And for the most part, he’s picking his spots wisely (the recent game against the Calgary Flames was an exception, with Burns trying to do too much and the team struggling because of it). Outside of the power play, Karlsson and Burns only see a few shifts together a game, so most of their even strength results come separately. Burns finished the Dec 1 game in Ottawa at minus-4 for the season. Since then, he is plus-11. The calming effect starts with Karlsson and continues even when he’s not on the ice. It is obligatory to mention Karlsson’s numbers, and eye-popping as they are, they almost seem like an afterthought. In his 16 games following the Dec 1 game in Ottawa, Karlsson has delivered 26 points and is plus-17. The team is 12-3-1 in the games Karlsson has played (he was suspended for two games in December). Yet, these gaudy numbers don’t capture the value of what he’s delivering. The entire team is playing better and making better choices on the ice and it all stems from Karlsson. There is one other piece to Karlsson’s value which has to be mentioned. For years, the Sharks relied on Vlasic. 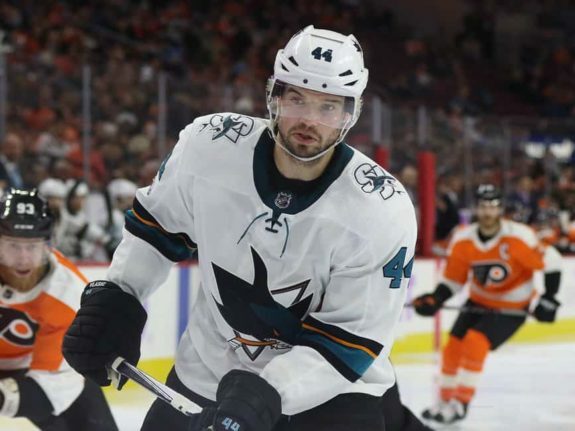 He has been the league’s best defensive defenseman over the last decade and the Sharks counted on him to shut down the league’s best offensive players. While offense is what gets players noticed, Vlasic played elite, under-the-radar hockey. Many considered him the team’s most irreplaceable player, some think he’s been the most valuable. There is plenty of evidence to make these cases. This season, though, Vlasic’s elite game deserted him (Braun has also struggled) and it has left a huge hurdle for the team to overcome. 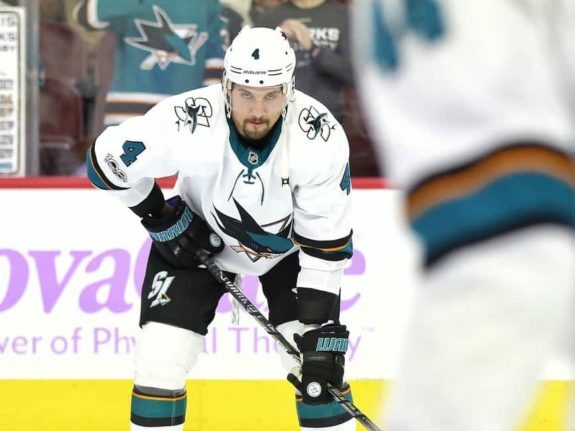 Karlsson has been the key to the Sharks overcoming Vlasic’s troubled season. It’s not often in life that one gets to reduce risk and increase reward at the same time. Karlsson’s impact on the Sharks since December has done just that. The Hart Trophy goes to the player judged to be most valuable to his team. There is no doubt Karlsson is now that player for the Sharks. Having one good month isn’t enough to win the Hart, especially given the high-quality competition for the honor. Karlsson’s first two months with the Sharks weren’t particularly good, and this can work against him when the voters submit ballots a few months from now. But he is now showing his value. When he found his game, the team improved enormously which is exactly the criteria Hart voters are asked to consider. With three months left to go in the regular season much can change. We’re talking about putting his name in the conversation at this point; no one is voting today. But if Karlsson continues to lead the Sharks the rest of the way as he’s done recently, expect the conversation to turn into a whole lot of votes. I mentioned the struggles of Vlasic and Braun briefly. They were both injured recently and have missed the last three games. In these games, the Sharks have allowed just five goals, two apiece to the Lightning (on 20 shots) and Oilers (22 shots), and one to Los Angeles Kings (23 shots). Both the goals allowed and shots allowed were much better than the Sharks’ season averages. It is both safe and surprising to say, but Vlasic and Braun haven’t been missed.